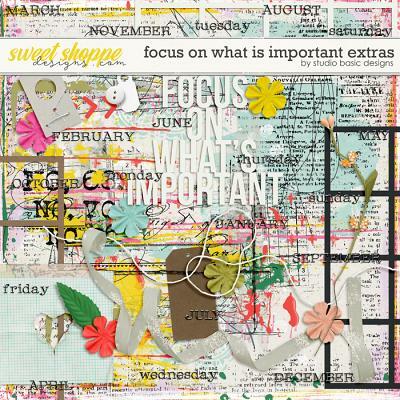 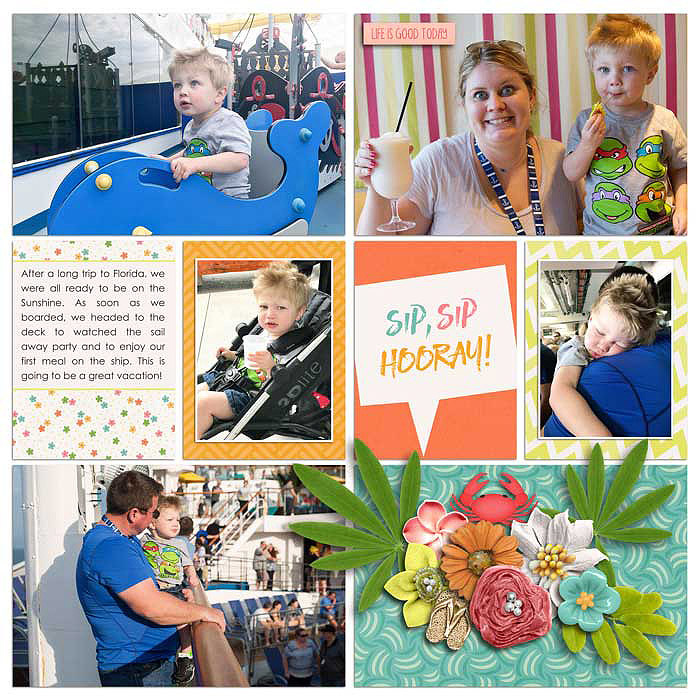 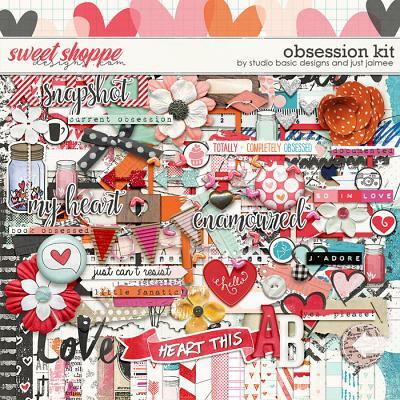 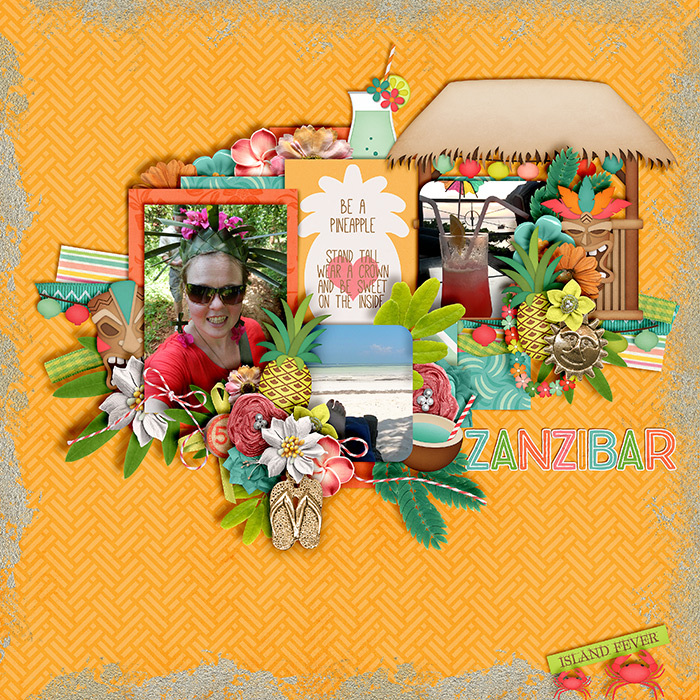 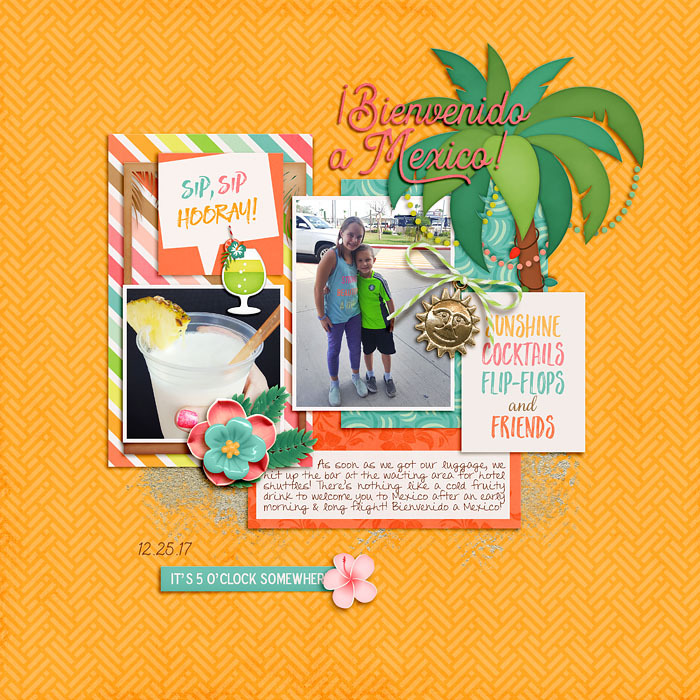 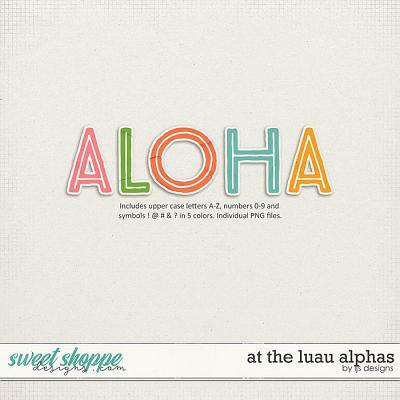 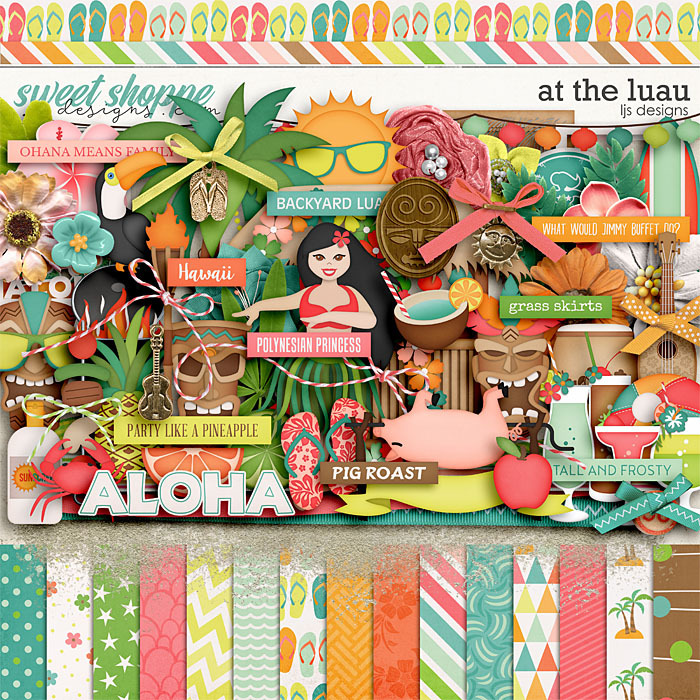 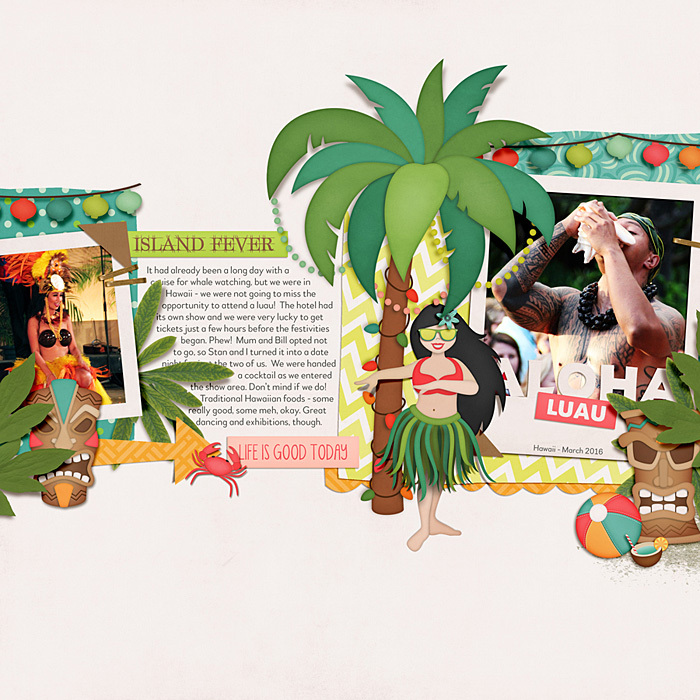 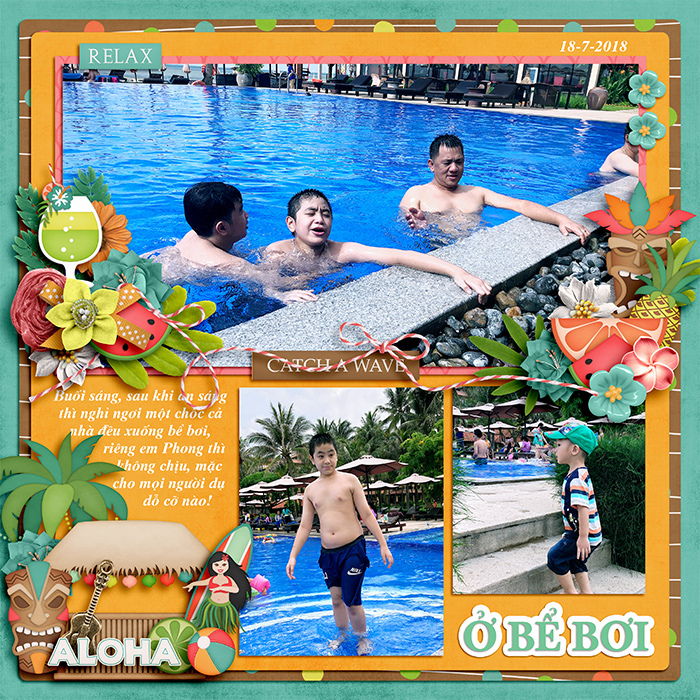 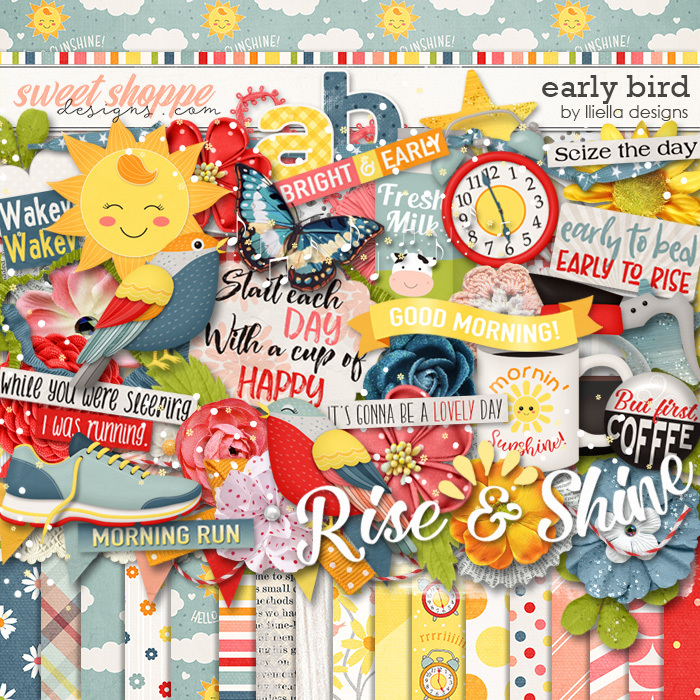 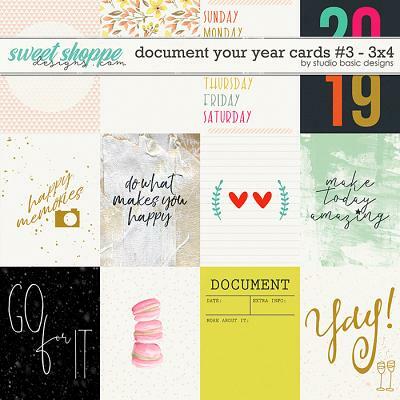 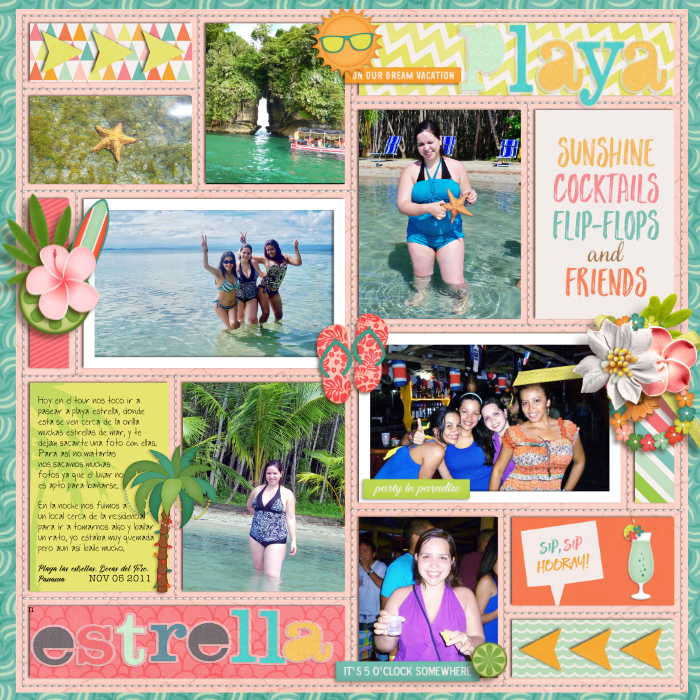 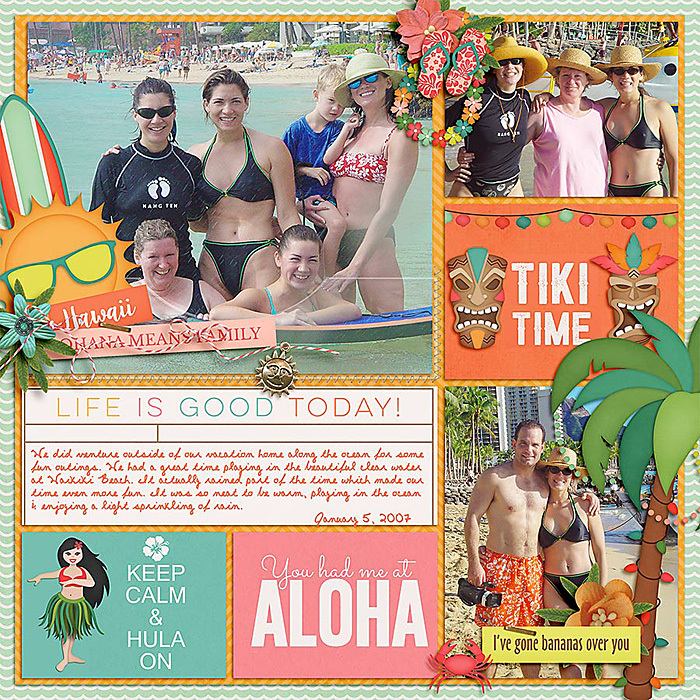 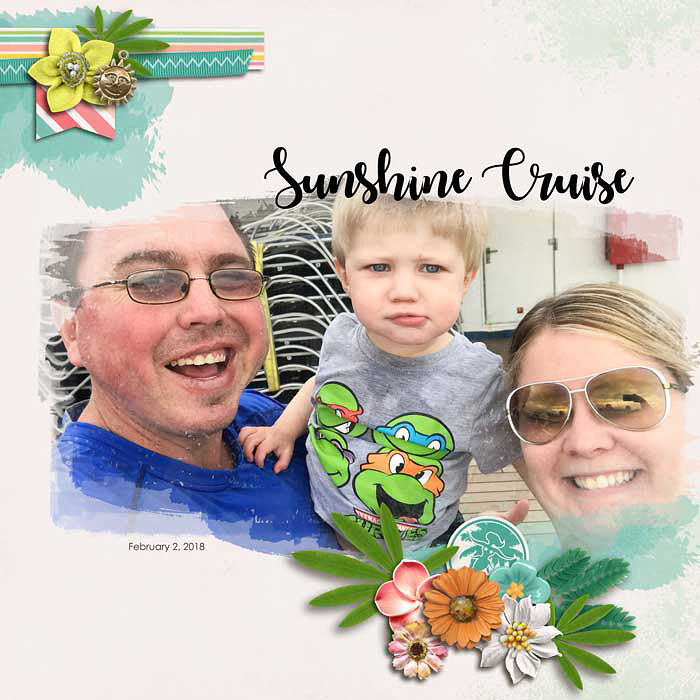 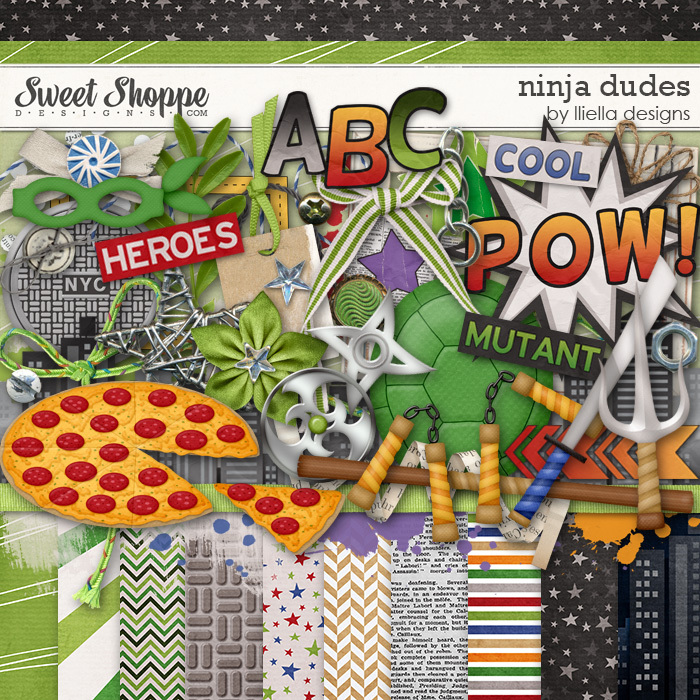 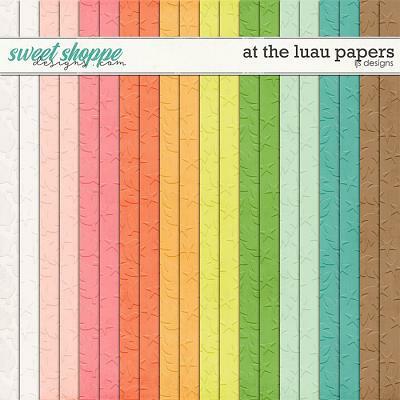 A digital scrapbooking kit by LJS Designs, At The Luau, is a summery kit with a Hawaiian flair that is perfect for all your tropical layouts. 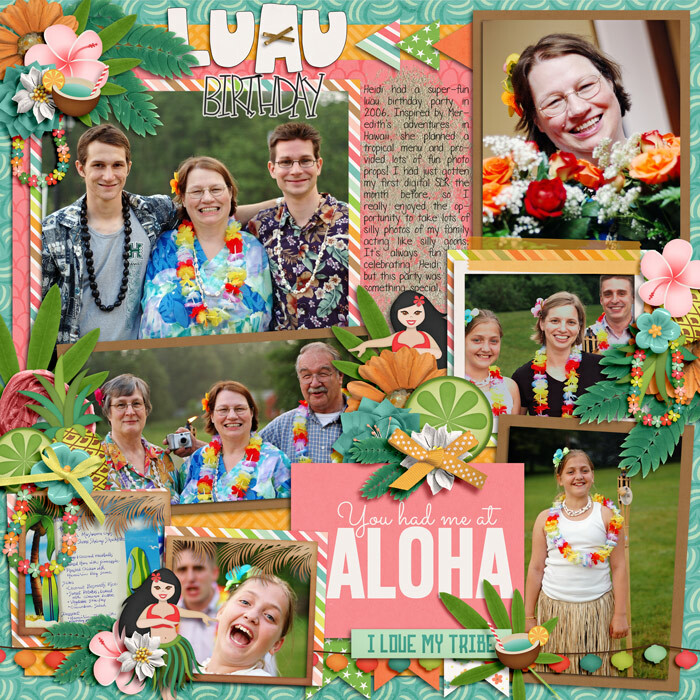 Whether you've made a trip to the Islands or just created your own tropical retreat in the backyard, At A Luau has everything you will need to document your Polynesian style parties. 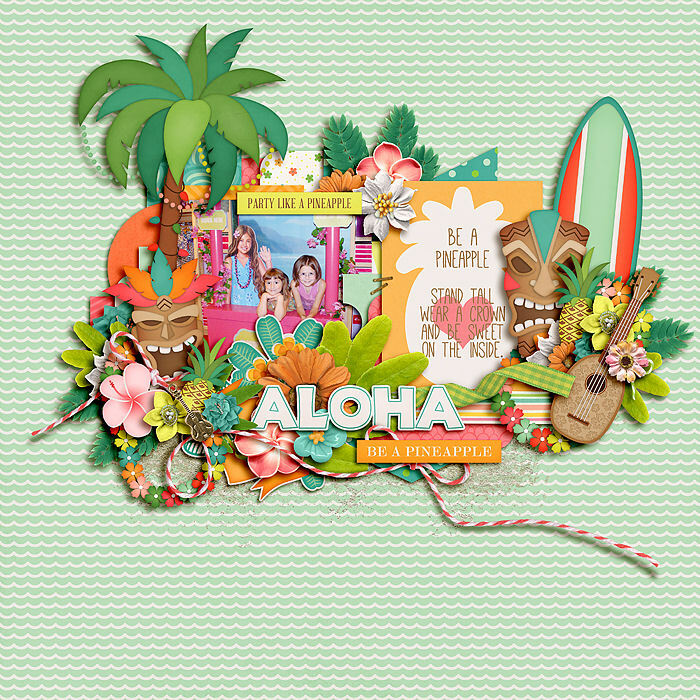 68 elements: aloha, apple, 2 banners, tiki bar, beach ball, bird, 5 bows, 3 charms coconut drink, crab, 4 cocktaild, drum, flipflops, 9 flowers, 4 frames, fitfty, frill, hula dancer, 3 idols, kabob, label, 3 leaves, lei, lights, lime, mask, orange, palm tree, pig roast, pineapple, 4 ribbons, sand, staple, string, surfboard, sun, sun glasses, sunscreen, ukulele, and watermelon.